You’re familiar with an Infinity Pool, right? 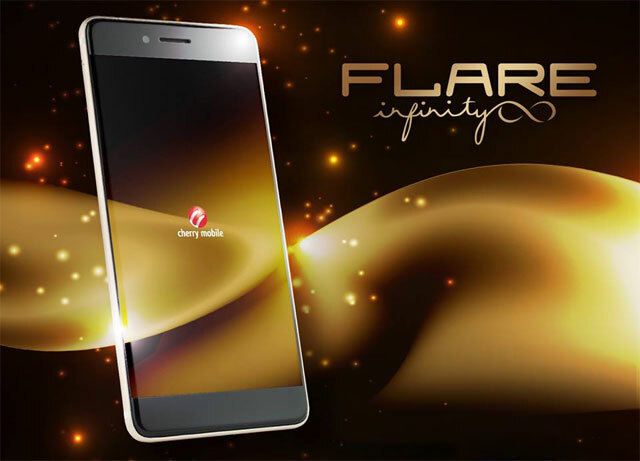 Cherry Mobile’s new Flare Infinity has an edge-to-edge display that looks just like one! It doesn’t have any bezel or ugly black border on the sides. 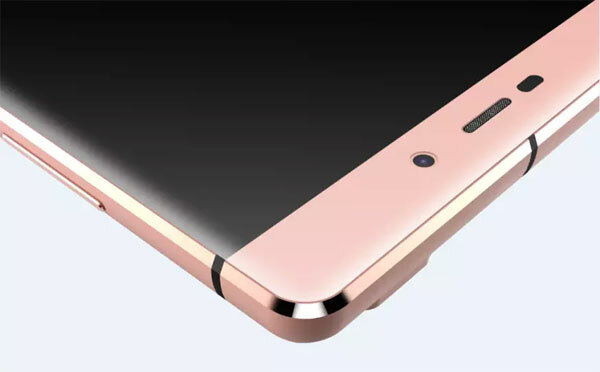 Instead, the edge of the screen is along the edge of the phone itself with a slight curve to meet the metal frame. This is the first smartphone in the country to feature this type of screen. Maynard Ngu unveils the Flare Infinity. The screen measures 5.5 inches but it surely will be manageable since the phone’s overall size is smaller compared to other 5.5 inch smartphones. It has a full HD resolution and uses in-cell LTPS technology. It’s enclosed in a metallic unibody casing on the sides and at the back while the front panel is protected by a layer of scratch resistant Corning Gorilla Glass 3. 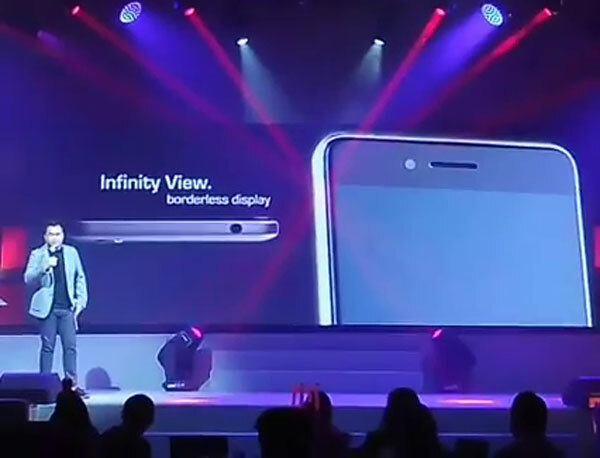 Closer look at the Cherry Mobile Flare Infinity’s display. The Cherry Mobile Flare Infinity packs powerful hardware. It uses the MediaTek Helio P10 chipset which has a pair of quad core CPUs running at 2.0GHz and 1.0GHz and a Mali-T860 graphics processor. 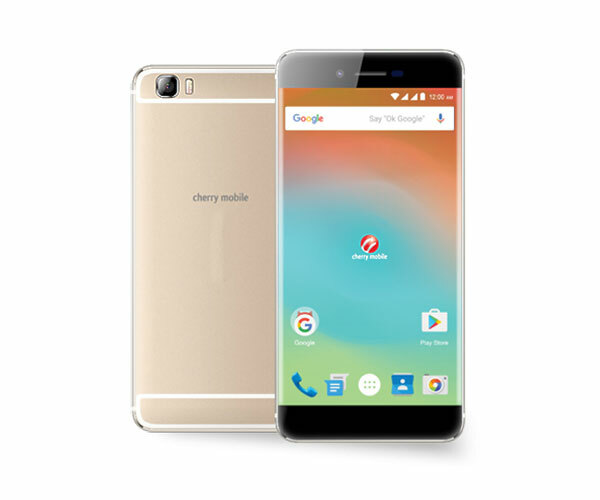 It has 4GB of RAM and Android 6.0 Marshmallow as the operating system out of the box. Built-in storage amounts to 32GB while a microSD card slot can accommodate an additional 128GB. The Cherry Mobile Flare Infinity is also well equipped for photography. It has a 16 Megapixel camera at the back that uses a Samsung image sensor and has a dual LED flash. On the other side, an 8.0 Megapixel front camera should be enough for selfies and video calls. On the side of the Cherry Mobile Flare Infinity, just below the power button, is a fingerprint sensor. 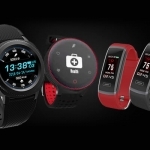 It boasts 360° recognition and unlocking speed of 0.1 seconds. Meanwhile, on the bottom of the phone, is a USB Type-C port. Keeping the device running is a 3000mAh Lithium-polymer battery that supports 9V/2A quick charging. It’s is a dual SIM smartphone that can connect to 4G LTE networks. It supports dual band Wi-Fi too. The official price is ₱12,999.00. 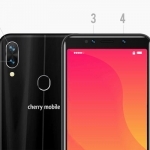 It sounds ambitious for Cherry Mobile to release another smartphone at this price range but the list features more than justify the price tag.